A brilliant little wine and an absolute steal for $17. Worth hunting down if your budget is $20 and under. 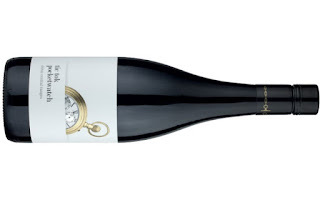 To back up its credentials, it even walked out the door from the Mudgee Wine Show 2018 with two trophies - Trophy for Best Shiraz and Most Outstanding Red Wine of the Show. The name Pocket Watch comes from the late Bob Oatley's ancestor James Oatley who was a convict and master watchmaker who rose to become the Keeper of the Sydney Town Hall Clock. It's a wine which offers much more than you'd expect for the price point. It tiptoes through the mouth with surprising precision and captivating energy. Vanillin aromas plus blue and dark berry fruit are prominent. Improving with more time in the glass - it was a nervous and uptight thing early. There's plenty of density and complexity before finishing long and spicy. Bought a case of this from the Sippery based on this review. Landed at under $10pb(!!) with a discount voucher but it's only $11 without any vouchers (also !!!) Great drinking wine and a bloody steal at the Sippery price. Awesome quaffer! Great news! I'm thrilled to hear you picked up a bargain. Enjoy!